President Aleksandar Vucic said in Aleksinac on March 24 that Serbia had one card it its hands today to openly say what it thinks, Beta reported. March 24 was day in 1999 when NATO started its bombing of Serbia, that lasted 78 days. “Serbia that was not killed, and never will be and that is their greatest curse, and our mission, and our future,” Vucic said at the central state ceremony to mark the 19th anniversary of the NATO bombing. Vucic said that no one would be able to attack Serbia again, as Serbia’s economy and military were growing, and it was becoming strong enough to protect itself and its people. Vucic also said that friendship was what Serbia wanted with the North Atlantic Alliance. “Yes, we want to build a partnership with you, too, to become friends, even though we were enemies once, just do not make us forget and blame our country,” Vucic said. The president said that Kosovo was a pressing issue again, and that compromise was the only way to solve it. He also said that Serbia was looking to the future, and that anything else would push the country to a dead end, Beta said. According to the Serbian government, Vucic said that the day marked 19 years since the most difficult time for our country, since the symbol of injustice was inflicted to a people that did not even think that something like that could happen. They called the air-strike campaign “Merciful Angel”, as if that could be defined as anything human. How is that crime called? What can we say today after they killed 2,500 of our people in exactly the same amount of attacks? One man per attack. What can I say here in Aleksinac which was bombed several times? Was someone promoted in military ranks for shedding our blood?” Vucic asked. He pointed out that throughout Serbia, people with history, wishes, dreams and hopes were killed. “We were told it was a fight against dictatorship, against bad people in power. When there were no more bad people in power, then they expelled our people from Kosovo, and then separated us from Montenegro to take Kosovo from us,” Vucic said. Another reason for which they are threatening us today is because we do not recognise what they recognise. We are right, and they know they are wrong and that they have never been right. This country was being killed without the Security Council’s permission, for the first time in history, he underlined. The Serbian President stated that the victims were in Aleksinac, Varvarin, Belgrade, Novi Sad, Nis and other cities of Serbia. “They killed toddlers on their potties, the old people in the parks. Today, our victims are imaginary for them. That is why only one part of diplomatic corps is here today and we thank you for condemning the aggression. This is Serbia, a country that has its own dignity. We will never forget those who gave their lives for their country. Serbia will not be humiliated. Today we have one trump card in our hands on which those who were killing us did not count. We have the right to say what they did to us and what they are doing to us today. We have the right to say what we think and what we pass through. We will use that right until the end. We will remember the names of all our victims,” the president said. 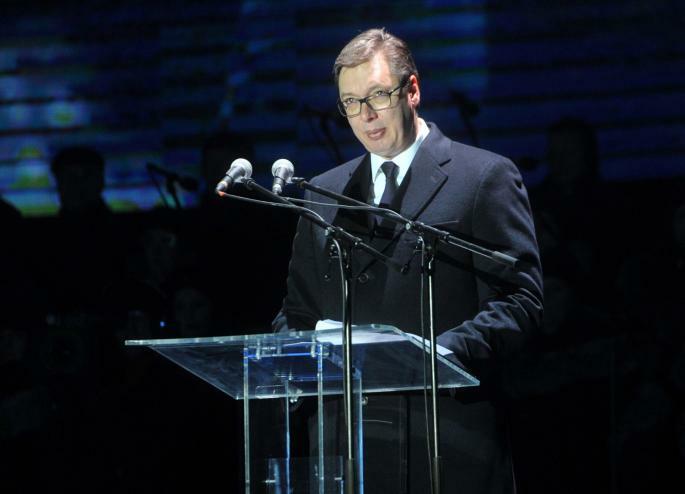 Vucic noted that every day Serbia is getting stronger and stronger economically. 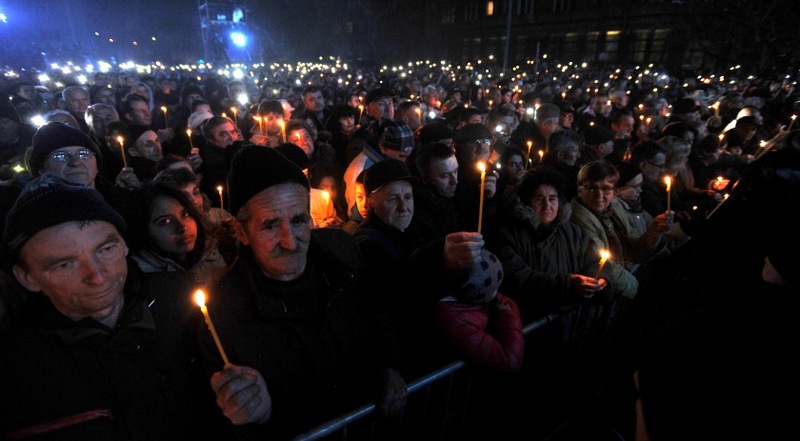 The ceremony, “We Will Forgive If We Can, and Forget Only When We Are No More,” was held in the central town square in Aleksinac and attended by Prime Minister Ana Brnabic, Serbian Assembly President Maja Gojkovic, Serbian government representatives, RS President, Milorad Dodik and a number of diplomats. The ceremony attended by a few thousand citizens started with a blackout and the sound of sirens. During the NATO bombing Aleksinac was bombed twice, while the worst attack happened on April 5, 1999, when seven missiles hit two central city streets, killing 11 and injuring 50 people. The NATO bombing of Serbia, then the Federal Republic of Yugoslavia, was launched without being approved by the UN Security Council. Between 1,200 and 2,500 people were killed in the 78-day air campaign, 79 of whom children. Next articleHow much should your boss know about you?